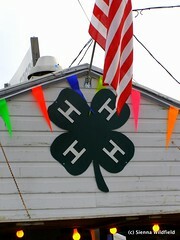 It’s almost agricultural fair time! Much more than a midway and a ticket-per-ride miniature amusement park, Massachusetts Agricultural Fairs honor the generations-old traditions of agriculture, self-sufficiency, and resiliency in rural communities. 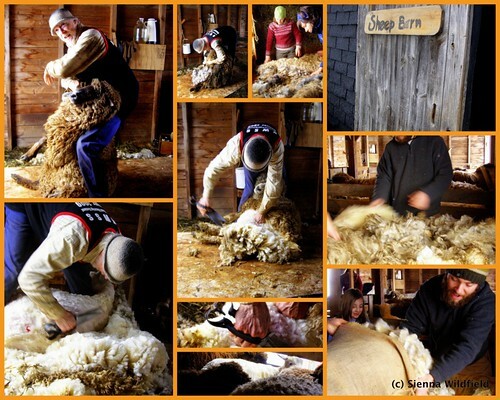 A tradition for many generations, agricultural fairs showcase the unique skills and talents specific to rural life in western Massachusetts – and in doing so, fairs offer families the opportunity to not only celebrate local culture, but to actively participate in preserving it. The exhibition halls at agricultural fairs are always filled with locally grown fruits and vegetables, homemade and home-preserved canned goods, handmade quilts and clothing, and beautiful photographs, paintings, and crafts created by local artists. With many exhibition categories reserved specifically for youngsters, exhibition halls offer families the opportunity to share their own work, projects, and produce with others – and the opportunity to share the active role that they have in preserving local culture. The Berkshires are Alive with Live Theater Opportunities this Summer! The Berkshires are alive! Get your tickets for a theater production and bring the family. There are options that fit all budgets! Featured Video: “Follow the Drinking Gourd.” According to American folklore, this song was a “musical” map which led fugitive slaves north to freedom. For a history of the song, see www.followthedrinkinggourd.org. The winners of the Fids & Kamily Awards have been announced! Launched in 2006 and inspired by the Village Voice’s long-running “Pazz and Jop” music poll, the Fids and Kamily Poll is the first compilation of year-end kids and family music “best of” lists from critics, writers, radio programmers, and others involved in the music industry. Ten favorites are voted on from outstanding releases, including kids and family albums from mainstream/adult artists, seasoned kindie artists and some fantastic newcomers. For the fifth year in a row, Hilltown Families has participated as a judge for the Fids and Kamily Awards (www.fidsandkamily.com). Take a look at the top 10 picks and honorable mentions. Any are sure to make a great gift of music this holiday season. Lucky Diaz and the Family Jam Band – Oh Lucky Day! Charlie Hope – Let’s Go Play! Joanie Leeds and the Nightlights – What a Zoo! 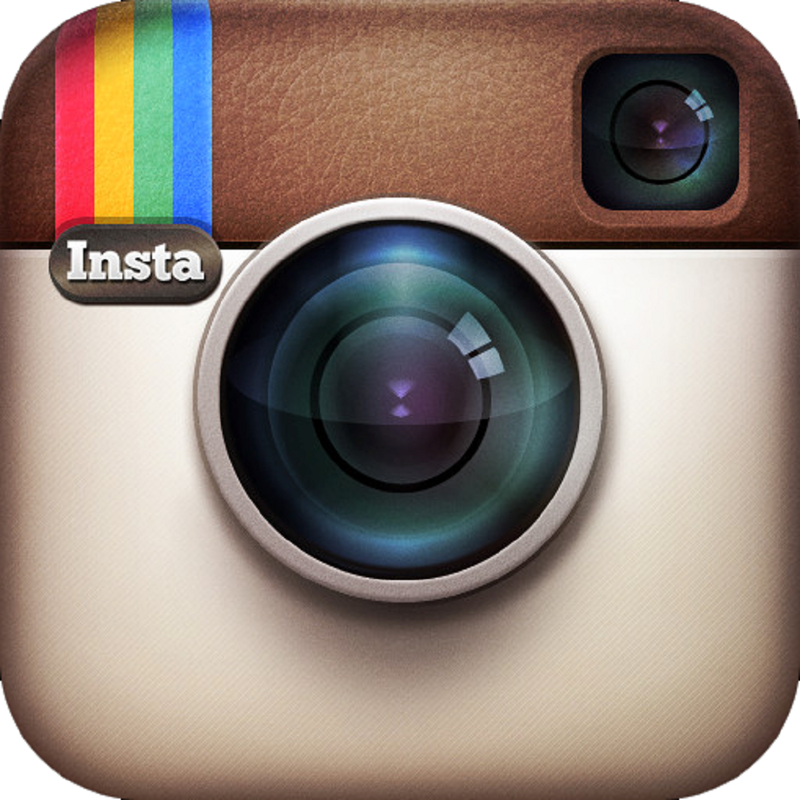 The Not-Its – Tag, You’ re It! Did you know that Caspar Babypants is now writing kids’ books? It’s true! I’m sure you’ve noticed that all of Caspar’s album covers are beautifully illustrated with paper cut out pictures. All of those adorable little creatures were created by Caspar’s, that is Chris Ballew’s, real wife, Kate Endle. So doesn’t it make perfect sense that they would team up to create a couple of bright, colorful, and fun-to-read books for kids? Of course it does! 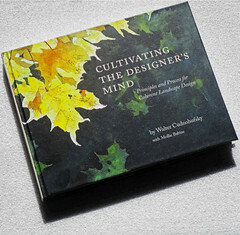 With Kate illustrating and Caspar writing, these two new books are perfectly balanced and delightfully beautiful. Bunny Rabbit in the Sunlight is a simple board book for little guys and My Woodland Wish is a longer book for bigger guys. Both are adorable and both follow a similar theme: pictures of cutey pie wild animals and rhymes about what those animals do (and how much we want to play with them). Plus, each book comes with a FREE Caspar Babypants song that you can download at Caspar’s website. And speaking of all things cute, bunny, and Caspar Babypants… have you seen the video for Mister Rabbit? Caspar Babypants is preparing to release his fourth awesome kids album, Sing Along , on August 16th. Is this one really good just like all his others? Why, yes it is! Caspar has a great approach to kids music: keep it simple so little kids can sing or bounce along, but make it interesting for grown ups, too. What a concept! You’ll see this approach in songs like “Ba Ba Black Sheep” and “Ring Around the Rosie “, songs everyone knows but that get a new twist on this album. 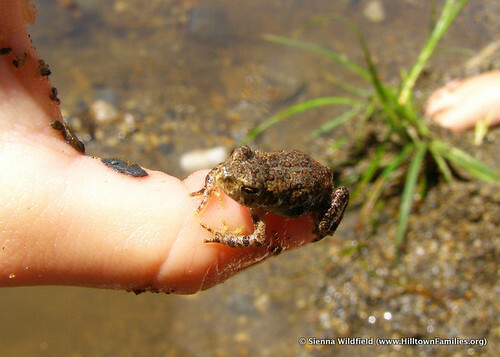 He also takes subjects even the littlest listeners can relate to, like “Crawling“ , and turns them into fun songs! But one of my favorite things about Caspar Babypants is that he seems to be friends with just about everyone in the music industry (he must be a nice guy) and they all want to help him out with his albums. Weird Al Yankovic plays accordion on “Long Long Dream ” and has created an amazing accordion solo, plus the beautiful Frances England helps out on a couple songs too, my favorite being “Sun Go “. But the very, very best song on the album without a doubt is Rachel Loshak’s “Baby Cloud “. Caspar describes it as “haunting.” It’s just perfect. Go listen to it now . Caspar says he makes music “to help families sing together and relax and open up and endure stressful times with humor and grace.” You’re doing it, Caspar. Keep up the good work! Sing Along will be available August 16th. One of my favorite bands is Belle and Sebastian and one of my all time favorite albums is Dear Catastrophe Waitress . Yes, I suppose that is music for grown ups, but my son loves this album, too! Anyway, when I heard that Mick Cooke of Belle and Sebastian was creating kids’ albums I just had to check it out! Recording under the name Too Many Cookes, Mick’s newest album is Down at the Zoo and it’s just lovely. The album is all about animals and their antics in the zoo. Elephants, monkeys, alligators… they’re all here. 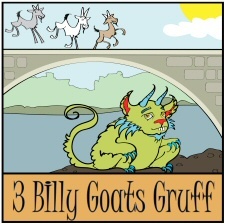 The lyrics are simple and wonderful fare for preschoolers and toddlers. Easy to sing to and full of life and imagery. But what I really like is the quality of the music itself. The horns are tremendous throughout the album and it’s fun to talk to your kids about the different instruments you can hear in each song. My favorite song on the album has to be Sarah the Seal. Just so happy and free! Check out the new album on the Down at the Zoo Facebook page and listen to one of the songs from the album here: We are the Tigers. By the way, did you know that tigers like to eat chocolate pie? Renee & Jeremy are simply awesome as is. Their music is melodic and beautiful. But they also seem to know all of the coolest artists around and when their songs are accompanied by animation… well, it’s perfection. 'Sunny Day' offers "handmade music" which invites listeners to join in. As Amanda Blake Soule, the author of "The Creative Family," notes in the 28-page full-color booklet enclosed with 'Sunny Day,' "These songs bring our attention to the magical, mysterious, fabulous and special simple moments of everyday living." They provide a soundtrack to brighten any day, "inspiring family connection and togetherness," as Sooule says. 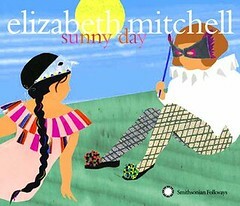 Elizabeth Mitchell’s new CD, Sunny Day, came out earlier this month and at just the right time for my family. To get a feel for Elizabeth’s style, try listening to her version of Mr. Rabbit or the Japanese song Ooki Na Kuri No Ki No Shita De (Under the Big Chestnut Tree), two of our favorite songs on the new album. FEATURED VIDEO: The Leisure Society play live at the Union Chapel on 15 May 2010 to launch American Laundromat’s latest charity compilation, Sing Me to Sleep: Indie Lullabies. 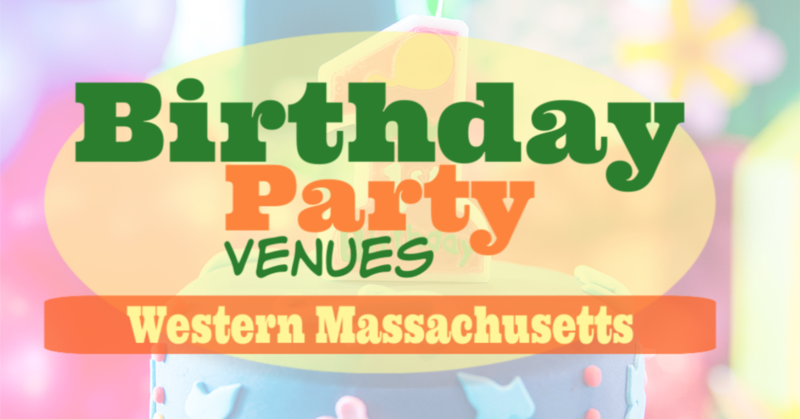 Northampton Parents Center Turns 25! Jay Mankita is a touring songwriter, an internationally recognized recording artists and a local dad. 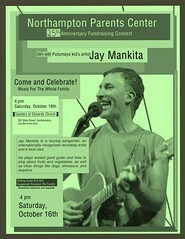 Join him on Saturday, October 16th at a fundraising concert for the Northampton Parents Center. Click on flyer to see larger image. 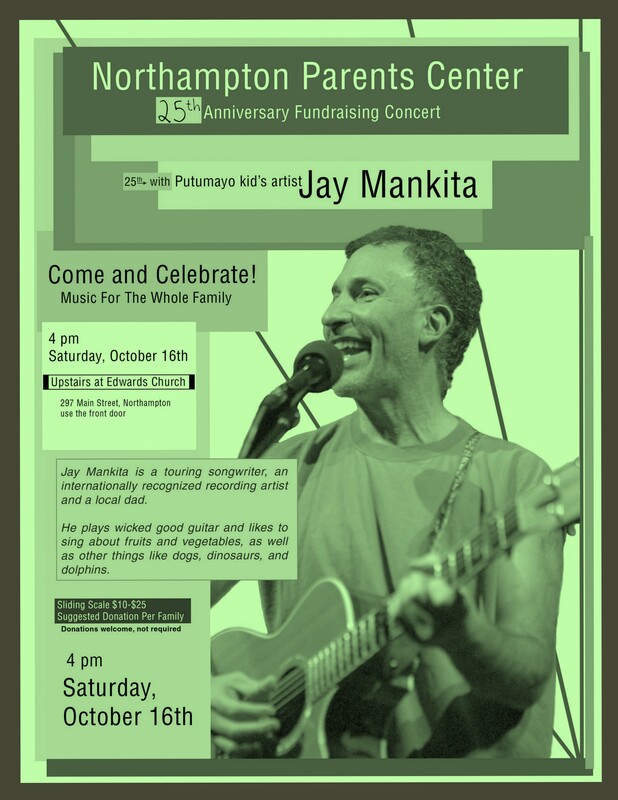 Northampton Parents Center is having a 25th Anniversary Fundraising Concert with Putumayo recording artist, Jay Mankita, Saturday, October 16th, at 4 pm in the upstairs of Edwards Church. Everyone is welcome – the whole community is invited! A sliding scale donation is suggested, but not required. Please come celebrate music for the whole family with the Northampton Parents Center! Gustafer Yellowgold will be at the Eric Carle Museum on Saturday, October 23rd at 1pm. 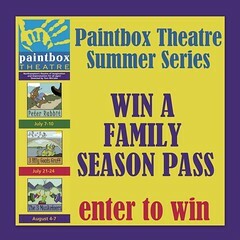 Deadline to enter to win a family 4-pack of free tickets is 10/20/10 @ 7pm (EST). Hilltown Families and the Northampton Community Music Center have partnered up to offer a chance to win a family 4-pack of tickets to see Gustafer Yellowgold at the Eric Carle Museum in Amherst, MA on Saturday, October 23rd at 1pm. The proceeds from the concert go to benefit the Northampton Community Music Center. Deadline to enter to win is 10/20/10. Find out how to enter to win below. Gustafer Yellowgold’s Top of the Sock Tour heralds the release of the fourth in the series of award-winning Gustafer Yellowgold “musical moving storybooks,” Gustafer Yellowgold’s Infinity Sock, in which our hero from the sun journeys in search of the end of the universe’s longest sock. This fall’s shows will preview several story-songs from the new DVD/CD set, and Gustafer’s creator, illustrator/songwriter/musician Morgan Taylor, promises to include plenty of “Gustafer fan favorites” in the shows, too! Hailed as one of today’s most original artists on the family music scene, Morgan Taylor was named “Best Kids’ Performer” by New York Magazine. Taylor developed the Gustafer Yellowgold experience as equal parts pop rock concert and minimally animated movie, performing alongside a large screen displaying vividly colored animations with karaoke-style subtitles. He’s dreamed up a whole world of catchy, original story-songs about Gustafer, a friendly creature who came to Earth from the sun and now lives out an explorer’s life in a slightly psychedelic version of the Minnesota woods. Gustafer resides in a cottage with his menagerie of friends, including a pet eel, a tuxedo-wearing pterodactyl, and a dragon named Asparagus who inhabits the fireplace and loves corn on the cob. For recreation, Gustafer enjoys jumping on cake and, occasionally, punching cheese. The Northampton Community Music Center is a not-for-profit organization whose mission is “to foster the love and pursuit of music within the community through quality musical education, performances, and activities that are accessible to all.” NCMC’s talented 50+ faculty members offer a diverse range of musical programs to more than 750 participants a year—both adults and children—and bring concerts and other musical events to hundreds more in our surrounding communities, uniting people of all ages and backgrounds through the shared experience of music. NCMC is the only music school in Hampshire County that offers financial aid: no qualifying student has ever been denied scholarship. 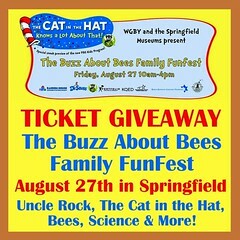 This family concert a continuation in the Kids Concert Series sponsored in partnership by the Northampton Community Music Center, the Eric Carle Museum, and 93.9 The River. 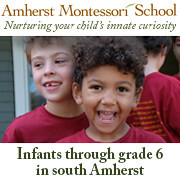 The Eric Carle Museum is located at 125 West Bay Road in Amherst, MA. Admission is $6, with all proceeds benefiting the Scholarship Program at NCMC. IT’S THAT SIMPLE! — Deadline is Wednesday, 10/20/10 @ 7pm (EST). If you don’t win you should still go! Tickets are $6 and available at 12:30pm the day of the show. No advance reservations. – For more information about the Northampton Community Music Center, call 585-0001. Featured video: The Flannery Brothers perform “Pirate or Parrot?” off of their new CD, The New Explorers Club. VALLEY FREE RADIO: It’s fundraising week over at our beloved community radio station, 103.3FM WXOJ (Northampton, MA). Visit Valley Free Radio online and make a donation to keep the station on air and equipment up-to-date. Any amount is welcomed! Visit www.valleyfreeradio.org and select the Donate Now button (large and up top) to make your pledge. 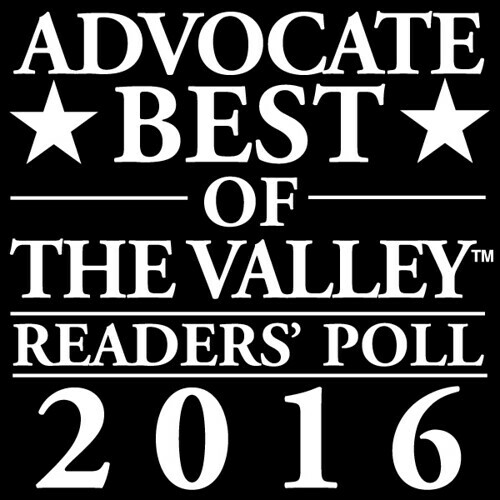 Valley Free Radio is a commercial-free community radio station that gets the vast majority of its funding from listeners like you! Make a donation of $20 or more during our show (Saturday, 9-10am) and receive a CD from one of the many wonderful family-genre musicians we feature every week on our show. Email us at hilltownfamilies@gmail.com to let us know that you made your pledge. Thank you for supporting community radio! NEW EXHIBIT: Dinner is Served! : Dining and the Decorative Arts in Early America will be on display at Historic Deerfield beginning Saturday, August 21st and running through November 28th. Families and students can enjoy a multisite exploration of the social, cultural, and artistic importance of dining in early America. Learn about the ordinary as well as the exotic accoutrements of dining-from cutlery and mustard pots to argyles and toasted cheese dishes. Then experience recreations of period dinners-complete with faux food-in the dining rooms of three historic houses. 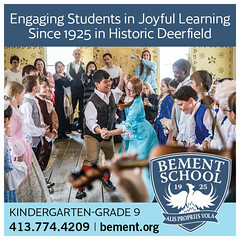 For more information visit www.historic-deerfield.org. LOCAL FOOD: Sixth Annual Free Harvest Supper of Local Food will be on Sunday, August 22nd from 4:30 to 6:30 pm on the Greenfield Town Common/Court Square. All are welcome to join in sharing this truly community celebration event, which features a bountiful meal of locally grown food prepared by local chefs, live music, children’s activities, educational displays and a Really, Really Free Market. Read more here. ADVERTISING & ANNOUNCEMENTS: Deliver your message to a large family based audience while supporting the work of Hilltown Families. Advertise your event, camp, workshop, fundraiser, business or announcement here in the Bulletin Board section of our List of Weekly Suggested Events. Email hilltownfamilies@gmail.com for more information. IRISH DANCE LESSONS: Celtic Heels School of Irish Dance in Greenfield is offering Irish Dance Lessons classes for children ages 4 and older, as well as adult classes, this Fall. Sign up now and join in the fun of the Jigs and Reels. 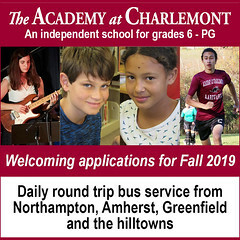 Registration is going on now and classes begin in September. Space is limited so call today! – In addition to Irish Dance Lessons, Celtic Heels School of Irish Dance also offers Celtic Music Lessons and Celtic Concerts the first Friday of each month. These concerts are open to the public and all are invited! – For additional information, please contact Cara at (413) 475-3353, or email celticheels@gmail.com. Celtic Heels is located at 267 Main Street, Greenfield, MA. Visit online at www.CelticHeelsDance.com. NANNY POSITION WANTED: Sandy Shapiro of Cummington, MA writes: Need a great nanny? I’ve been working as a nanny and a preschool teacher for nearly 25 years. For the past 13 years I’ve been the nanny for one family, and as the kids got older I served several families part time. I’m reliable, an expert problem solver, and have wonderful references. I also cook, mend, shop, organize, run errands, etc. Available Tues-Thurs, preferably in the Hilltowns, but willing to travel. I’m very flexible and willing to combine families/children, work morning and/or afternoon hours, and can serve different families with variable needs. 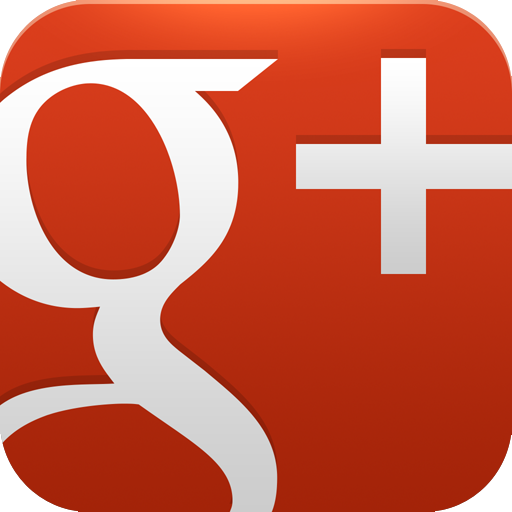 For more information, call me at (413) 634-5068. Deadline to enter to win: August 25th. VOLUNTEER OPPORTUNITY: Lezlie Densmore writes: I’m organizing the La Leche League Nursing Mothers’ Booth at the Big E again this year and I’m starting to line up volunteers. La Leche League has been sponsoring the Nursing Mother’s Booth for a few years now and we reach well over 1000 people each year. I need volunteers to sit at the table and keep an eye on the booth. All volunteers that help for 4 hours or more receive a free entrance pass and a free parking pass for the day. The dates this year are Sept 17 – Oct 3. We need at least 3 people per day but can have as many as 6, so invite a friend or spouse to come along! If you think you might be interested, email me (LezlieDen@gmail.com) and I’ll add you to our list. 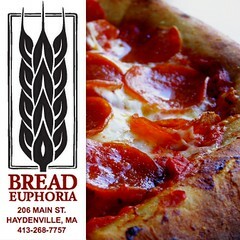 Deadline to enter to win: September 22nd..
PIE & TOMATO CONTEST: As part of Community Spirit Day, Four Winds Farm and CHP-South Berkshire Community Coalition will sponsor at Pie & Tomato contest at the Great Barrington VFW on Sunday, August 22nd. Enter your home-baked pie(s), made with LOCAL fruits. Also bring your best, ugliest, biggest tomato from your garden for an entry into our tomato contest. No preregistration, just bring by 12:15pm for entry. This is a FREE community event (12 noon to 5 p.m.) with a potluck (bring a dish to share along with your own plates and utensils), games, magic, music, kid’s activities, Farmer’s Market and a ‘meet-your-local non-profit organizations’ venue. For more info contact SBCC at 413-528-1919 x14. By far, A Family Album by The Verve Pipe is one of our favorite family CD’s to come out this year – and we have two copies to giveaway to two lucky families! Your family is going to love the fun pop songs on this album. The foodie in me loves the playfulness of “Suppertime!” and the mom in me gets choked up to “Only One of You.” My 8yo daugher (and co-host of the Hilltown Family Variety Show) can’t get enough of “Complimentary Love” and “When One Became Two” (I’m raising a little romantic!). A Family Album is a great CD to have in the family car for enjoyable listening by all members of the family. Randy and Donnie from The Verve Pipe recently hosted the Hilltown Family Variety Show, selecting songs from A Family Album, along with great selection of songs from their childhood. Listen to the Podcast anytime, or tune in to an encore on WXOJ 103.3FM Northampton, MA on Saturday from 9-10am and Sunday from 7-8pm. Lend your hand in the creation of a community playlist by posting a playful tune you remember from your childhood (or recently discovered), and be entered to win. Deadline to enter to win is Wednesday, August 18th at 7pm (EST). Details below. 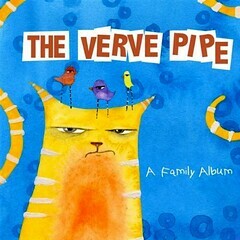 With sales of three million albums worldwide and a reputation for spectacular live performances, in 2009, The Verve Pipe was approached to submit a new track for a compilation album of children’s songs. That session inspired A Family Album, an original collection of songs intended for the entire family, with fun and inventive lyrics set to the memorable melodies the band is known for. Adding the artwork of Kate Cosgrove, gives the CD a lovely whimsical element to the cover and liner notes. In 1996, RCA Records released their award-winning debut album, Villains, featuring their signature inventive arrangements, soul-searching lyrics and layered vocal. Their follow-up release, the critically acclaimed self-titled LP The Verve Pipe, featured ‘Hero,’ a Top 15 hit at Modern Rock radio. Their most recent album for adults, Underneath, produced the singles ‘Happiness Is’ and ‘Never Let You Down,’ one of the most played songs for Adult Top 40 and Modern A/C radio that year. The album also included ‘Colorful,’ the emotive ballad featured in the film and soundtrack Rock Star, starring Mark Wahlberg and Jennifer Aniston and also co-starring lead singer Brian Vander Ark in his first major film role. These guys have performed sold-out concert throughout the U.S., Canada, Europe and Australia, been featured in Spin and Rolling Stone and videos on MTV and VH1, TV appearances (The Tonight Show With Jay Leno, Late Night With David Letterman) and a stellar guest DJ appearance on the Hilltown Family Variety Show! The Verve Pipe is currently on tour performing both old favorites as well as music from the new album for adults and kids of all ages. IT’S THAT SIMPLE! — Deadline is Wednesday, August 18th 2010 @ 7pm (EST). Hilltown Families and the Northampton Community Music Center have partnered up to offer a chance to win a family 4-pack of tickets to see Princess Katie & Racer Steve at the Eric Carle Museum in Amherst, MA on Saturday, August 7th at 1pm. The proceeds from the concert go to benefit the Northampton Community Music Center. Deadline to enter to win is 08/04/10. Find out how to enter to win below. 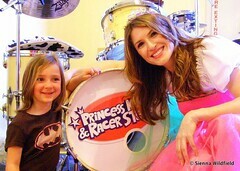 In 2008, Hilltown Families and Spare the Rock co-present Princess Katie & Racer Steve at Lyman Hall in Northampton, MA. PK&RS had the kids rockin’ out and doing the tango, with the parents laughing and joining in … Two years and two albums later, they’re returning to the Pioneer Valley, and this time to the Eric Carle Museum of Picture Book Arts, sponsored in partnership by the Northampton Community Music Center, the Eric Carle Museum, and 93.9 The River! Princess Katie & Racer Steve have recently released a new album titled Tiny Cool, which has been described as “a book you cannot put down – in music form!” They create high energy, positive and upbeat music that both kids and parents alike can enjoy. Find out more about Princess Katie and Racer Steve at www.princessracer.com. This family concert is the sixth concert in the Kids Concert Series sponsored in partnership by the Northampton Community Music Center, the Eric Carle Museum, and 93.9 The River. The Eric Carle Museum is located at 125 West Bay Road in Amherst, MA. Admission is $6, with all proceeds benefiting the Scholarship Program at NCMC. IT’S THAT SIMPLE! — Deadline is Wednesday, 08/04//10 @ 7pm (EST). ADVERTISING & ANNOUNCEMENTS: Deliver your message to a large family based audience while supporting the work of Hilltown Families. Advertise your event, camp, workshop, fundraiser, business or announcement here in the Bulletin Board section of our List of Weekly Suggested Events. Shelley Brooks of the South Berkshire Community Coalition writes: Kickball Tournament – we need players! Deadline to sign up – Friday, July 23… We are looking for 10 eager players that would like to join our SBCC Kickball Team. This fun (one-time) event will take place *Saturday, July 31* at the Little League Field in Great Barrington. The day will begin at 10 a.m. and wrap up arou…nd 6 p.m. All ages (and abilities) are encouraged to join! 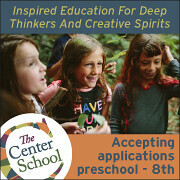 Call us at 413-528-1919 x 14 or email at sbcc@chpberkshires.org. 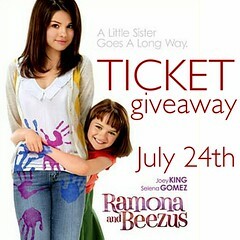 Deadline to enter to win: Tonight, 7/22, at 7pm! 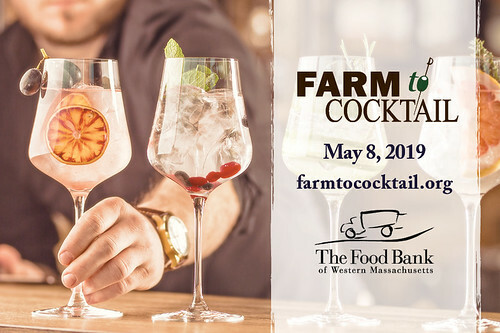 VOLUNTEER OPPORTUNITY: Help support The Food Bank of Western MA. Food and fund drives organized by community groups, schools, and local businesses help fill The Food Bank’s warehouse and enable them to dedicate more resources towards their mission. Organizing a food drive or other fundraising event for The Food Bank can make a major impact in your community. Most-needed items: peanut butter and jelly, rice and canned soup or stew, spaghetti and canned spaghetti sauce, canned pasta meals, tuna, low-sugar cereals, canned beans. For more information about how your group can support The Food Bank, or to arrange a drop-off time of food or funds, please call The Food Bank at 413-247-9738 or email our Development & Marketing Department: development@foodbankwma.org. VOLUNTEER OPPORTUNITY: Part-time volunteer opportunities. The Hilltown Community Development Corporation (Hilltown CDC) is offering three part-time one-year stipended volunteer positions starting in September to talented adults (must be over 18) who are interested in serving as Commonwealth Corps members and learning about the community development field. Hours are flexible; each volunteer will serve approximately 17 hours per week as an assistant on community outreach projects relating to Hilltown CDC’s work on affordable housing, small business development and planning projects. For more information, contact Seth Isman at sethi@hilltowncdc.org. WORKSHOP: Thursday August 12, 2-5 PM. Grow Food at Schools workshop. 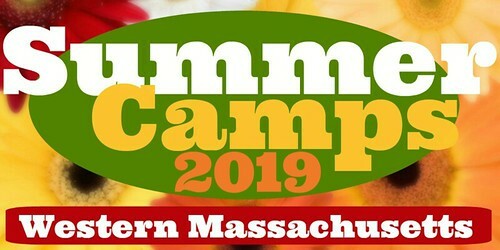 This popular workshop features school garden and greenhouse techniques, curriculum connections, and service learning. 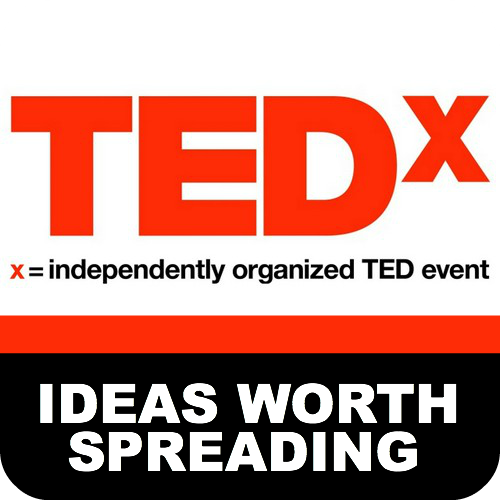 Geared toward educators; all are welcome. PDPs (professional development points) available to teachers. Pre-registration required, contact solidarity@seedsofsolidarity.org. WORKSHOP: Tuesday, August 24 6:30 – 8:30 PM, Chicopee Public Library, Workshop “Making Sense of Behavior: Teaching Young Children How to Develop Self-Control and Self-Regulation Using Behavioral and Sensory Techniques.” Designed to assist teachers, parents, and caregivers of children with challenging behaviors – the children who hit, bite, scream, etc. We will explore the reasons behind their behaviors and concentrate on a variety of techniques to help them develop more appropriate ways to deal with stress and channel their frustration, energy level, or sensory need. For more information contact Karen Cassidy at 413-783-5500 ext 16 or at kcassidy@thomchild.org. LOCAL MUSICIANS WANTED: Local musicians wanted to perform as part of the Greenfield Savings Banks Morning Melodies summer series of musical entertainment featuring local artists. If you have musical ability and would like the opportunity to schedule a date when you could perform for your Hilltown neighbors, please call Sarah Mancinelli (775-8291) at the bank. PARENT NIGHT OUT: Saturday July 24, 4 PM, 10th Annual Chili & Chowder Fest, Camp Russell in Richmond, ages 21+. Sponsored by Boys and Girls Clubs of Pittsfield. Now in its tenth year, the Chili & Chowder Fest showcases the talents of chefs from more than 20 eateries across Berkshire County. The event will also feature pontoon boat rides on Richmond Pond, music, raffles, door prizes, beer and wine, and other snacks and refreshments. Tickets may be purchased at the Boys and Girls Club of Pittsfield and will be sold at the door if any remain; tickets are limited to 500. 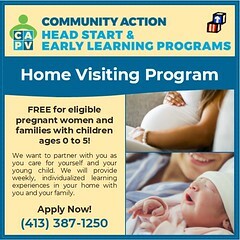 For more information, call (413) 448-8258. Pittsfield City Hoopla Comes Spinning Back into Town! 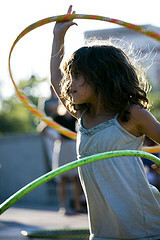 Pittsfield City Hoopla returns for its second annual all day hoop-fest this summer on July 24th, 2010. This year it boasts all-day programming in Springside Park (874 North Street), in the public gardens behind Springside House from 12Noon to 5 p.m. and returns in the same location with live drumming and more from 8 to 10 p.m. As always, it is a free event that is open to all ages. Founded in 2009 by dance artist Stefanie Weber, a Pittsfield native, Pittsfield City Hoopla strives to continue celebrating “the craft, craze and creativity of the hula hoop” this year. 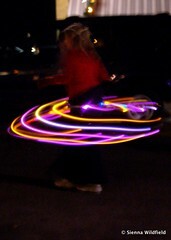 The popularity of hooping hasn’t declined one bit since the last Hoopla festival in Pittsfield. Hooping.org, a comprehensive website for all things hoop, sees 40,000 visitors weekly. At music festivals nation wide there are more hoopers hooping around than ever. As a prelude to the festival there is a hoop-making workshop on Thursday, July 22nd from 6 to 8 P.M. at the Lichtenstein Center for the Arts (28 Renne Ave.). 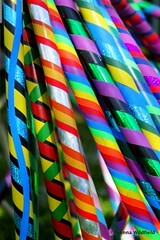 The workshop will teach the basics of hoop construction and offer supplies to decorate and customize your new creation. Preregistration is required for the workshop, please contact spin@pittsfieldcityhoopla.org or call 413-281-6734 to register. Warm ups and a welcome by Stefanie Weber kick off the official programming for Pittsfield City Hoopla at 12noon on Saturday, July 24th. The greeting is promptly followed by Join the Circle: Hooping 101, a workshop directed by Arian Shelton and Laura Marie of Hooping Harmony in Greenfield, a mother-daughter hooping team. These hula hoop veterans will coach beginners and new comers the basics of hooping for fitness, fun health and healing. If you don’t have your own hoop, don’t fret, there will be hoops to borrow and hoops for sale through out the day. 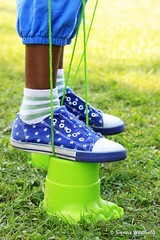 By the end of this session you will be able to perform some hoop tricks and string them together with ease! After Join the Circle: Hooping 101, Lolli Hoops of Boston Hoop Troop returns with fellow member Little L. Tosses and Jumps will be the focus of the showcase by these hoop dance pros. Lolli Hoops has presented at various venues in the Greater Boston area and beyond including the Somerville Theater, Middle East Downstairs and the Foundation Lounge at the House of Blues. The festivities continue with Lita Lundeen-Setchfield of One with Fire who will be performing poi, the art of spinning fire. Contemporary poi is a blend of a traditional dance from the Maori culture in New Zealand and Hawaiian men’s rituals from the early 20th century. 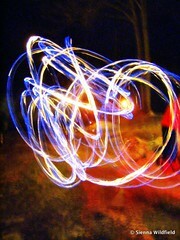 Fire poi became a popular tourist attraction in Hawaii during the 1960’s and has since gathered much popularity. 3:30pm marks the beginning of “Open Circle” where everyone is invited to participate in freestyle hooping, jams, sharing, shopping, eating, chair massage and face painting. At 4:30pm all are welcome to exhibit their skills, experiment, try something new, show off to a watchful audience and watch the pros strut their spins for the “Showcases and Performances” portion of the event. In addition to the scheduled activities, the staff of The Vincent Herbert Arboretum will be giving guided tours of the Springside Public Gardens and the surrounding forest eco-system. The evening schedule begins at 8pm after a short break. This enchanted illuminated spin extravaganza features live drumming conducted by Aimee Gelinas of Gaia Roots. The drumming is accompanied by LED hula hooping and fire poi spinning, along with an all out fire hoop jam session until 10pm. Pittsfield City Hoopla 2010 receives funding support from the Massachusetts Cultural Council, Pittsfield Cultural Council, Pittsfield’s Office of Cultural Development, Greylock Federal Credit Union and The Earthe Shoppe. For more information, to volunteer, showcase your hooping self, or to make a donation to the event contact 413-281-6734 or spin@pittsfieldcityhoopla.org. Hilltown Families and Iron Horse Entertainment Group have partnered up to offer a chance to win free tickets to see adult venues in the Pioneer Valley for a PARENTS’ NIGHT OUT! You pay for the sitter, we’ll pay for the tickets! 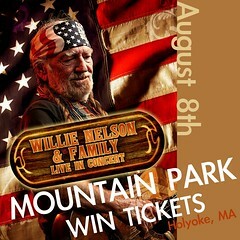 This month we are pleased to offer a chance to win a pairs of tickets to see Willie Nelson & Family at Mountain Park in Holyoke, MA on Sunday, August 8th, 2010. Win the tickets and take your spouse, partner or good friend for a night out. 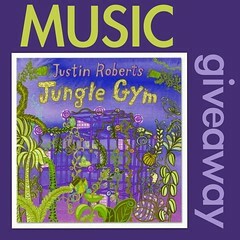 Deadline to enter to win is Wednesday, 08/04/10 @ 7pm (EST). More details below. Following its opening in 1894 as a picturesque retreat on the side of Mount Tom, Mountain Park expanded and evolved into one of the most beloved amusement parks in New England. At the beginning of the 20th century, Holyoke was the most prosperous community in the state and the first planned industrial city in the United States. The city’s progress drew crowds of visitors to Mountain Park, and the park gradually developed into a bustling destination. Although the park closed its gates in 1987, the echoes of laughter from generations of visitors still reverberate throughout the Pioneer Valley. Today, Mountain Park evolves into the next millennium as a new host for music, entertainment and outdoor family fun. Willie Nelson played a vital role in post-rock & roll country music. Although he didn’t become a star until the mid-’70s, Nelson spent the ’60s writing songs that became hits for stars like Ray Price (“Night Life”), Patsy Cline (“Crazy”), Faron Young (“Hello Walls”), and Billy Walker (“Funny How Time Slips Away”) as well as releasing a series of records that earned him a small, but devoted, cult following. During the early ’70s, Willie aligned himself with Waylon Jennings and the burgeoning outlaw country movement that made him into a star in 1975, as recognizable in pop circles as he was to the country audience. In addition to recording, he also launched an acting career in the early ’80s. Willie has never played it safe musically. Instead, he borrowed from a wide variety of styles, including traditional pop, Western swing, jazz, traditional country, cowboy songs, honky tonk, rock & roll, folk, and the blues, creating a distinctive, elastic hybrid. Nelson has gone back to his roots for his new album Country Music, produced by T-Bone Burnett and featuring a collection of vintage country standards played by Nashville’s top flight bluegrass musicians. IT’S THAT SIMPLE! — Deadline is Wednesday, 08/04/10 @ 7pm (EST). If you don’t win you should still go. 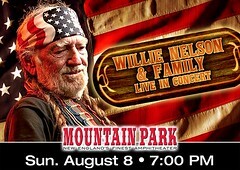 Check out the Mountain Park music line-up here. 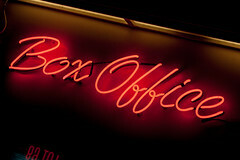 Tickets are available at the Northampton Box office, online at IHEG.com, or by calling 413-586-8686. Says Laurie, "After releasing five albums, I felt it was finally time to put out a compilation of my most requested songs. There have been many changes in recording technology, my own musical growth and the shape of the band since I released 'Whaddaya Think of That?'. I hope families will enjoy taking this music tour with us." - Deadline to enter to win Laurie's new CD: July 14th. Laurie Berkner has released a greatest hits CD, The Best of the Laurie Berkner Band, filled with fan favorites – and we have two copies to giveaway to two lucky families! 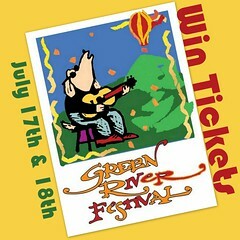 Deadline to enter to win is Wednesday, July 14th 2010. Details below. Award-Winning, best-selling children’s performer Laurie Berkner has released her first-ever collection of greatest hits, The Best Of The Laurie Berkner Band, this past June. All five of The Laurie Berkner Band’s CDs are represented: Whaddaya Think Of That? (1997); Buzz Buzz (1998); Victor Vito (1999); Under A Shady Tree (2002) and Rocketship Run (2008). Special bonus tracks inclding a new song, “Open Your heart,” are also included. A former preschool music teacher by day and indie rocker by night, Laurie Berkner started selling her music out of her living room on her own label. 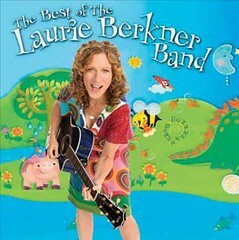 She was the first artist to ever appear in music videos on Nick Jr., Nickelodeon’s 24-hour eucational, commercial-free preschool network, and are featured in nearly all of the episodes of the Channel’s “Jack’s Big Music Show.” Find out more about Laurie Berkner at http://www.laurieberkner.com. Read a recent review of The Best Of The Laurie Berkner Band posted to Hilltown Families by HF Contributing Writer, Amber Bobnar: Must-Hear Music Monday: The Best Of The Laurie Berkner Band. IT’S THAT SIMPLE! — Deadline is Wednesday, July 14th 2010 @ 7pm (EST). A Laurie Berkner Best Of! Who doesn’t love the Laurie Berkner Band? Who hasn’t spent an entire afternoon happily humming Victor Vito to themselves? Hey Victor! Hey Freddie! Let’s eat some spaghetti! Laurie Berkner has been releasing perfectly danceable family fun albums for over ten years now (wow!) and felt it was high time for a best of compilation. I must agree! If you’re not familiar with Laurie’s music, this album is a great introduction. You’ll get to listen to all of the best songs from over the years, from the silly (like Victor Vito and Pig on Her Head ) to the sweet (like Five Days Old and Under a Shady Tree ). If you’re already a huge Laurie Berkner fan, you’ll be happy to see what a great job they did choosing the songs for this album (yes, Buzz Buzz made the cut), and you’ll probably have a couple you’d want to add (I’m kind of missing One More Stop on the Train ). For us fans, this album would make a great gift for our friends who haven’t yet become super Laurie fans. Another thing I love about this album: Since these are all hits, it’s a nice pick for the car. You’ve got almost an hour of “Oh, I love this song!” to drive along to with your kids… or on your own! Honestly, I don’t mind listening to a good Laurie Berkner song even when Ivan’s not around. The Best of The Laurie Berkner Band was recently released on June 29th, and the band will be in Massachusetts for the Life is Good Festival in September. Exciting! 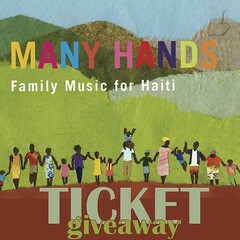 Hilltown Families friends Bill Childs and Dean Jones have joined forces to produce "Many Hands," a locally produced CD of family music to benefit the Haitian People’s Support Project. This forthcoming CD will feature new music from Dan Zanes, Pete Seeger, Elizabeth Mitchell, They Might Be Giants and many more. National release date: Aug. 10th, 2010. 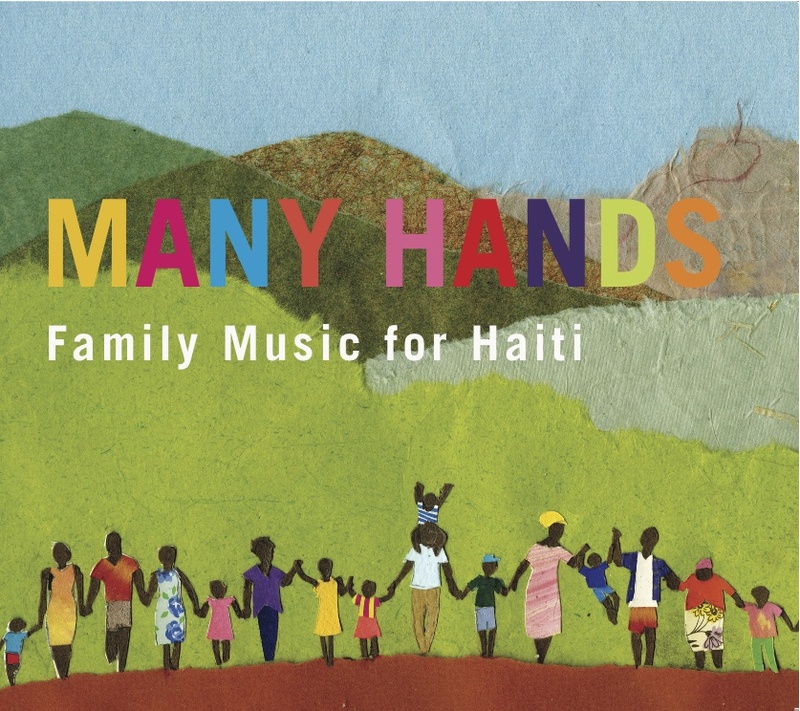 With a national release on August 10th, Many Hands: Family Music for Haiti is the first release from Spare the Rock Records, based out of Western MA. This unique collection of songs is filled with uplifting messages from some of today’s very best family musicians. After the January 12th, 2010 earthquake that destroyed much of the Haitian capital, family musician Dean Jones (Dog on Fleas) found himself feeling helpless and desperately wanting to help the people of Haiti. Having close friends in Haiti and feeling a deep love and respect for the music from the region, Jones felt the need to create something that could help the ongoing rebuilding effort. Almost all of the tracks on the album are previously unreleased, most of them recorded especially for this release. The gathering of artists featured here is a strong assortment of the unique and special talents creating and performing for today’s all ages audiences, from the legendary Pete Seeger to family hip-hop star Secret Agent 23 Skidoo. In addition, everyone involved in the process of getting this album out into the world from replication to distribution has also either drastically discounted or donated their services. Proceeds from this release will benefit the Haitian People’s Support Project and their long-standing work to help the people of Haiti. Many Hands will be released as the debut album of Spare the Rock Records founded by kindie rock connoisseur Bill Childs. “After speaking with Dean it was immediately obvious to me that this would be a great record, and, just as importantly, that it would have the potential to help keep people’s attention on the ongoing recovery of Haiti,” recalls Childs on how the partnership came to fruition. “Dean asked for some help reaching out to a few artists, and that just naturally flowed into my helping the record get a wider release; ultimately, that meant starting a label.” Childs produces, with his kids, the weekly radio show Spare the Rock, Spoil the Child which airs every Saturday on 103.3FM Valley Free Radio from 7-9am, and 93.9FM The River from 8-10am. Bill also writes about kids’ music for Hilltown Families and various parenting magazines, has produced numerous kids’ concerts and is the co founder of KindieFest, the family music conference. Musicians include on the CD include: Dan Zanes, Pete Seeger, Elizabeth Mitchell, They Might be Giants, Gustafer Yellowgold, Caspar Babypants, Frances England, Dog on Fleas, Lunch Money, Baby Gramps, Recess Monkey, The Deedle Deedle Dees, Rani Arbo and daisy mayhem, Bonga and the Vodou Drums of Haiti, Secret Agent 23 Skidoo, Jonathan Coulton, Uncle Rock, Grenadilla, Dean Jones, Emily Curtis, Randy Kaplan, and Jerrice Baptiste. – CD release shows are planned on both coasts, with details available at ManyHandsCD.com. Amber has put together a list of her and her son’s top 12 songs from this past spring of musicians who perform in MA, chiefly in the Boston area, with many who have performed here in Western MA too. Visit both Amber’s site, Boston Children’s Music (Eastern MA) and check here on Hilltown Families (Western MA) for recommended family concerts, music and ticket giveaways. Between the two we’re bridging the state to let families all throughout MA know about great concerts for families! This is a new song from the new Debbie and Friends CD. It’s a song about Debbie’s nephew Will, who makes silly faces when his picture is being taken. See how many famous places Willy visits and learn “why” he does what he does in pictures! Alastair released his first children’s album, A Cow Says Moock, last year and it’s amazing. He has a sort of folk/blues sound and covers some cool old songs, like “Fishin’ Blues” and “Spaghetti in My Shoe.” He does a lot of shows at Club Passim in Harvard Square and always sells out. BR&F released their newest CD, A Frog Named Sam, in 2009. This is their fifth CD and even though we love all of them, I would say this newest one is probably our favorite. BR&F have an American roots/bluegrass style that is just so family friendly and I love that they always include a nice instrumental or two on each album. They perform all over Mass and are Arlington favorites. This song is off of D&F’s newest CD, More Story Songs & Sing Alongs, released earlier this year. D&F’s have a wonderful way of taking familiar stories and nursery rhymes and turning them into something new and exciting. Ivan has always loved their “Three Little Pigs” song, but I think “So, So Happy” is his new favorite. D&F also have a really cool animator who has been creating fun videos for their songs (you can see them here: http://debbieandfriends.net/fun.php). D&F play all over Mass. Their shows are very interactive and perfect for young kids who have never been to a full band show before. The Flannery Brothers are from Maine and they are making quite a splash in the children’s music scene. Their newest album, Wake Up Songs, just came out this year and it is a short, six-song CD intended to help get your kids out of bed in the morning. We really do listen to this CD every morning! Their shows are super energetic and that energy is contagious. They’ve been playing more and more shows in Mass and they’re getting to be very popular. They’re working on a new CD set to release later this year. Gustafer Yellowgold is the creation of Morgan Taylor, a multi-talented artist who writes, sings, and animates all at once! Each Gustafer song is accompanied by an animated video and the live performances are really spectacular as the band plays in front of a large screen displaying the characters. The songs follow Gustafer and his friends on their adventures that vary from the absurd to the inspirational. Morgan’s music is mellow and light and accessible to both kids and adults. He and his band are from New York but they have been coming up for regular shows at Club Passim in Harvard Square. Their newest album, Mellow Fever, is a must hear and there’s rumor that we can expect a new Gustafer album by early 2011. Vanessa Trien is as sweet in person as she is on her albums. She’s the real deal! Vanessa is talented and full of energy, which is really saying something when you consider she’s also a mom to two young children. Her newest CD, Carnival Day, just came out last year and it is a must have. Owl Hootenany is probably my favorite song on the CD. Vanessa performs all around Mass, but mostly in the Boston metro area. She plays both big theaters and little charity events. Don’t miss out on one of her shows! Little Groove, headed by lead singer Sara Wheeler, is another regular around town. Little Groove has put on big shows at TCAN in Natick and the Coolidge in Brookline as well as lots of smaller library shows. Sara’s style is almost celtic and very melodic. The music is mostly acoustic and kids just love her ladybug costume! Their CD, Building Blocks, was released in 2008. We love to listen to it in the afternoons when Ivan needs to calm down after a long day at school. JBB is from Rhode Island and their music is just beautiful. They play in a kind of folk rock style with lots of instrumentation, from harmonica to saxophone and everything in between. They’re really quite a sight when seen live. Most of their songs are about enjoying life and friends and that’s an important message for anyone! Their album, Kick Up a Breeze, came out last year. Judy, a musician from New Hampshire, has a way of making everything silly. Her shows are so much fun for kids as she gets them to pretend they are swimming through jello or meeting aliens. Her newest CD, Weird Things are Everywhere, came out last year and is a story told in both spoken word and song about a trip across the USA. As she travels across the country Judy talks about the books that have been written about each state. Judy is a big supporter of literacy programs and you can often find her performing at local libraries in Mass. L&T are just fun. Most of their songs attempt to teach kids something valuable, but in an entertaining way, which is no easy feat! But L&T really do pull it off. Their shows are fun and super interactive – they encourage kids to come on stage and help them sing in the microphone. Their CD, Sharing The Same Stars, came out last year and has already won a Parent’s Choice Award. They’re from Gloucester and perform all over Mass. Mariana is originally from Argentina and sings all her songs in Spanish. She has a delightfully rich voice and many of her songs remind me of the bosanova style. Her songs are playful and skillfully arranged. It’s hard to believe that Aventura Collage is her first CD! She’s both a music teacher and performer in the greater Boston area and she performs regularly at the Children’s Museum. SteveSongs is such a staple of children’s music in New England and he’s become a big star now that he’s on PBS as Mr Steve! Marvelous Day is his fifth CD and the Elephant Song is just such a classic! Steve is one of those vocalists who is simply astounding and I love the silliness he injects in every song. Plus his back up singers, the Sensational Sillies, are phenomenal! And they’re little girls! Steve’s been doing fewer live shows lately and he also tours the country quite a bit, but you can still catch him back on his home turf now and then. But his shows almost always sell out so get your tickets fast when he’s here! 4TH ANNUAL WASHINGTON TOWN FAMILY FUN DAY & TOWN TAG SALE: Saturday June 26th, 9am-3pm. 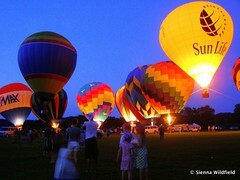 Small town goes all out big for annual event! 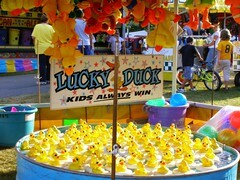 Bird walk (at 6:30 AM), pancake breakfast (at 8:30 AM), Blessing of the Bikes (at 10 AM), face painting, free pony rides, bounce house, Cub Scouts car wash, Smokey the Bear, Jacob’s Pillow, The Eagles Band (at 1 PM), duck race, food and craft vendors, Becket Fire and Police department safety tips, activities, and give-aways for kids, and more! Proceeds benfit Friends of the Park. 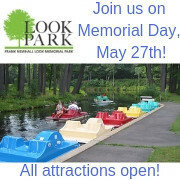 For more info, call RJ 413-623-5911 (rain date: 6/27). RE-USABLE SHOPPING BAGS FUNDRAISER: The Blandford Elementary School PTO is selling cute, re-usable shopping bags as a fundraiser. Click here for an order form. GATEWAY IS OFFERING SUMMER ACADEMIC HELP: Students in grades 5 through 12 are invited to attend Gateway’s annual Summer Academic Support Program, which helps students prepare for MCAS exams and retests in English Language Arts, Mathematics and Science and Technology/Engineering. Don’t worry – it’s fun, too! KEEPING KIDS SAFE THIS SUMMER: School is out and kids will be spending more times out-of-doors. Check out the Summer Safety Tips offered by the American Academy of Pediatrics—covering everything from suntan lotions to lawn mower safety. USED INSTRUMENT AND MUSIC EQUIPMENT SALE: In early September, Artspace Community Arts Center in Greenfield will have a sale of used music instruments and equipment. They are seeking donated and consigned instruments and equipment for the sale. Proceeds will benefit Artspace’s financial aid program and STRINGS FOR KIDS. If you have an instrument (s) or equipment that you would like to donate or consign (50/50), call or email – 413-772-6811, info@franklyarts.com. PHOTO CONTEST: Mass Audubon Photo Contest. “Picture This: My Connection to Nature.” This contest calls for “striking digital images that highlight the beauty and diversity of Massachusetts wildlife, habitats, and people in nature.” There will be up to 24 winners (12 adults and 12 students) chosen by an esteemed panel of judges. Two Grand Prize Winners’ photos will be featured on the cover of a Mass Audubon publication. All winning photos will be displayed at a special event this fall at the Mass Audubon Visual Arts Center. Participants may submit up to five digital images taken in Massachusetts via Mass Audubon’s free public group on flickr®. Contest ends September 6, 2010. For complete rules, visit: http://www.massaudubon.org/picturethis. 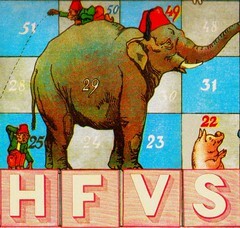 Amber Bobnar or Boston Children's Music has put together a sweet playlist for HFVS this week! Tune in every Saturday & Sunday - or anytime via Podcast! 6-10am – FAMILY RADIO: Special guest Amber Bobnar of Boston Children’s Music puts together our playlist this week with her current top picks. Valley Free Radio (WXOJ-LP 103.3FM Northampton, MA) offers 4-hours of commercial-free family programing every Saturday, including the Hilltown Family Variety Show and Spare the Rock. Tune in on your FM dial, or listen live via streaming audio at www.valleyfreeradio.org. School’s out! The last time it was this hot, my family and I had just moved to Northampton from a sleepy Connecticut suburb, there were two weeks until school started, and we knew nothing and no one. We spent every hot afternoon at Look Park, running through the much beloved sprinklers. Now that it is summer again, we are more or less unpacked and ready adventures. My boys are 11, 6 and 4. The age span can be a challenge for us. My summer goal is to find places we can frequent that satisfy us all, build bridges between the boys’ different ages and temperaments and wear them out so they will sleep heartily at night. I decided to surprise Matt on Father’s Day with a short day trip to Shelburne Falls. The Shelburne Falls Trolley Museum is home to trolley car #10. This trolley belonged to the Shelburne Falls & Colrain Railway company which closed up shop in 1928. It was saved by a farmer, used as a chicken coop and then refurbished in 1999. It is a charming little trolley, with a shiny dark wood interior, the original frosted glass windows at the top and fresh exterior boards painted a perfect farm yellow. Our tickets were punched, the lights came on, the kids sat at attention for the short ride. While the conductor turned the line around for our return trip, we had a bit of a history lesson from the guide. We learned that car #10 was a combination car. It carried both cargo and passengers. One side hauled cotton, apples and vinegar from the farms to town and the other side carried passengers, usually workers or students who used the trolley to commute to high school in Colrain. High school feels like a world away to me now, but I pictured my boys as teenagers, commuting by trolley in 1920, hopping on, eyeing the barrel full of apples in the cargo section, borrowing the fare from a friend, swimming in the Deerfield River to cool down once they reached home again. When #10 headed back, we found ourselves in a race with the pump car on the nearby track. Engineer Polly, along with a teenager and her grandpa were flying down the track pumping the handles, hair whipping everywhere. My six year old assures me that we won, as trolleys cannot be beat. 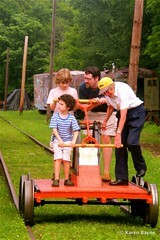 The boys were intent on riding the pump car, because they are the fastest ever. I thought maybe Theo was too young so Matt took Isaac and Henry first. Polly, our engineer, assumed control of our family for a short time, as she explained the purposes and rules of the pump car. Henry was to stand on the side and hold on to the bar in the center. Isaac and Matt face forward and pumped side by side at the back. Polly pumped at the front and controlled the foot break. On the way back, Henry was allowed to pump, as she determined he was both tall enough and old enough to follow the instructions. When I took Theo on he held on tight with two hands and kept his feet on the platform. He will have to grow a few more inches until he can pump without it bumping his chin, but he has just turned 4. Polly instructed him not to wave at daddy, as she wanted both hands on the bar. When we coasted in, Theo did not wave but gave a big smile, with a “hello there!” He was quite pleased with himself. All the kids got a “I drove the pump car” sticker. Before we left, the boys crawled all over the yet to be restored little caboose. They climbed up to the upper seats, admired the wood burning stove & the “closet potty” in the corner. We poked around the museum for a bit, enjoying this store house of trolley treasure, with telegraph machines and electric trains running. Since we were in Shelburne Falls, we crossed the famous Bridge of Flowers, which was built in 1908 by the trolley company itself. Just a few years after the trolleys stopped running, the town itself saved this bridge transforming it into a glorious garden. I expected to have a difficult time in engaging the boys in the viewing of a garden, but walking on a foot bridge over a river was entertaining for Theo. Henry was happy to direct my attention to the smell and colors of different roses and Isaac was pleased when I set the camera to macro and showed him how to photographs the flowers close up. 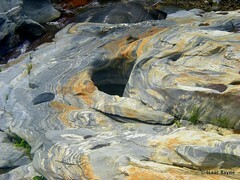 On the far side of the bridge, we visited the Glacial Potholes. My kids are easily impressed by geological formations (also known as rocks), and these were very impressive rocks which can be very safely view from the observation deck. The boys itched to get down and scramble in the river bed, but the glacial potholes are actual holes in the river bed left by stones swirling in the river when it swelled with the melting of the glaciers. We left with promises to find another spot for river scrambling and swimming. There are many hot days of summer ahead. Karen grew up in Manhattan and lived in Connecticut before moving to Northampton with her husband Matt to raise their boys. Her sons Isaac, Henry and Theo are 11, 6 and 4, leaving Karen on a search for all the “just right adventures” that will wow them and wear them out. 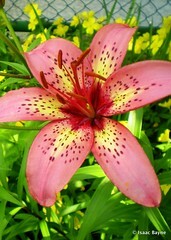 She works as a birth doula, childbirth and parent educator in the greater Northampton area. She writes about mothering at Needs New Batteries and about birth in our culture at Gentle Balance Birth. Interested in becoming a Contributing Writer for Hilltown Families? Find out more info here.